So. Here’s a secret. I have a lot of books. There are books on the coffee table, books next to the bed, books by the bathtub, and a few left in random places like on the cellar stairs or on top of the puppy’s crate. I’d apparently hidden my addiction all too well, because only of a fraction of the books could fit. 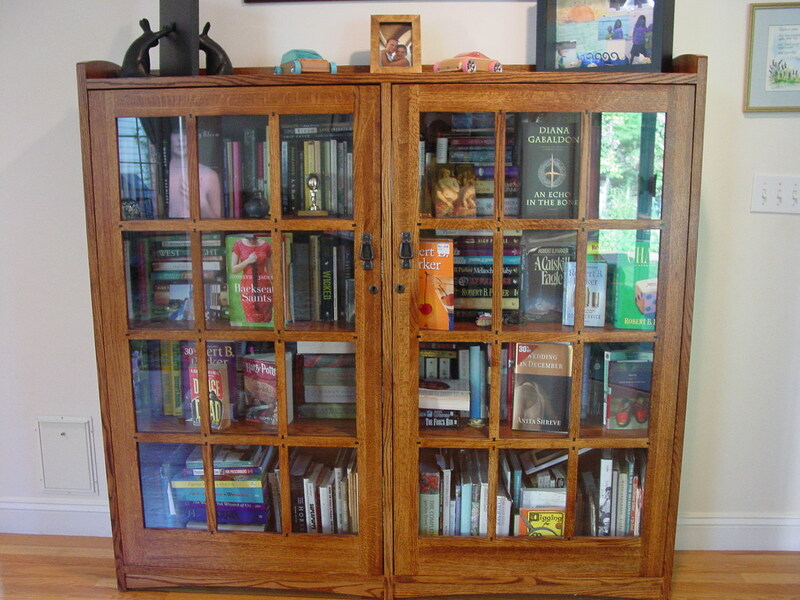 But the bookcase (that’s how it’s referred to — THE bookcase, as opposed to the children’s bookcases (3) my office bookcases (2) the basement bookcase (1) and the old bookcase) does have an important role. It holds my favorite books, filed in alphabetical order. These are the books I reread time and time again. Some because I love the story so much I can’t bear to have it end. Some because I am blown away by how real the characters are. Some because I’m amazed by the technical mastery, the way the writer creates a world out of nothing, and I read the story over and over to learn how to make my own writing better. This week, I’m giving away a book that does all of these things — Turtle Moon, by Alice Hoffman. It is one of my favorites, and it has it all — an addictive storyline, a magical setting, and characters so heartbreakingly real you wish you could sit them down over coffee and straighten their lives out. It’s the kind of book I buy whenever I see in second-hand stores, to loan out to friends so my own copy never has to leave the house. To win a brand-new copy, all you have to do is leave a comment by Wednesday telling me what your own favorite book is, and why. (Bonus points if you include a story about it.) Ready? Go! Oh noes. I cannot pick a favorite. I cannot. However, I can name one recent book that thrilled me, even though it’s perhaps not to your taste: Anne Stuart’s BREATHLESS. Like all hers, the mood is dark, the hero deeply flawed, the heroine his path to redemption. But I love her voice in this one. She knows who she is as a writer and willing to own it. The resulting purity makes me think this one will be nominated for a RITA. I’ll add it to my list — I haven’t heard of her before. I love the title — conjures up Richard Gere in his younger days. My favorite book has to be Outlander by Diana Gabaldon. She has such a wonderful way of not only bringing these characters to life, but transporting you back to their time. At least it’s that way for me. I didn’t really want to read it when a friend first told me about it. The words “time travel” turned me off immediately and completely. But she insisted and I had nothing better to read at the time so I dove in. I was hooked my page two. She had loaned me the next two in the series and by the end of Voyager I was yelling “How could you leave them like that? !” My husband drove me to the book store that day and bought me the set. I love Outlander. too, although I think my favorite in the series is Voyager. I had the same experience you did — I thought there was no way I would like it, and then I became addicted! I was thrilled to find out the editor for my book, Evenfall, discovered Diana! It looks as if you posted on Good Reads instead. I can’t move the comment over here, but I’ll use this comment as your placeholder for the random number draw. Mz. Liz! Asking a reader to choose his or her own favorite book is like asking a mother to choose her favorite child!! But here goes… Of course it would be Evenfall. I have had the pleasure of reading it several times even before it will hit the masses, and I have to tell the reading public out there to brace yourselves for an unforgettable ride on the romance train! My favorite part, of course is the voice and presence of the ghost. Long live people of paranormal persuasion. He is not dead, just life challenged. ha ha But seriously, can’t wait to read it again. Another of my favorite reads was Mists of Avalon, by Marion Zimmer Bradley. I loved the language, the mystical intrigue and the sense of place she created even through the ages, and I especially loved her take (from the perspective of the women involved) on the Arthurian legends. There are many books I absolutely adored, but this is one that I read a few times over the years. Also read, loved and reread the Hitchhiker’s Guide to the Galaxy (Douglas Adams) several times so that is another fave I guess. Ok I need to stop now because several others have come to mind.